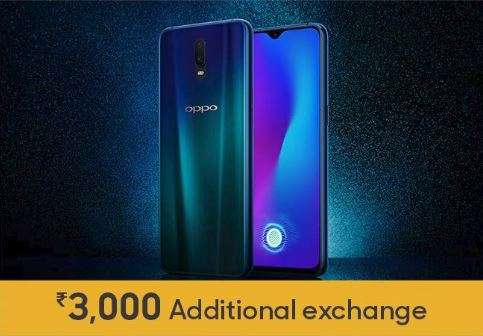 Amazon OPPO Fantastic Day sale includes exchange offers and no cost EMIs on OPPO F11 Pro, OPPO F9 Pro, OPPO R17, OPPO R17 Pro, OPPO A3s and OPPO A7. 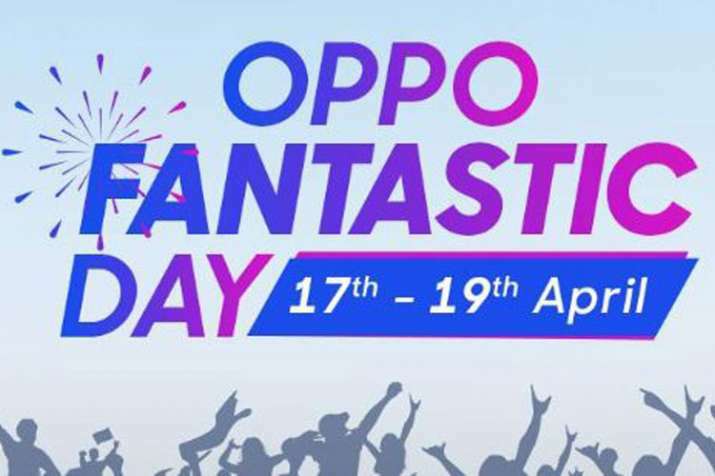 Amazon is running the OPPO Fantastic Day sale on its smartphones that starts today 17th April and will be up till 19th April. The offers include no cost EMI and exchange offers on its smartphones, along with discounts on Amazon pay. Following are the list of OPPO smartphones on offers. 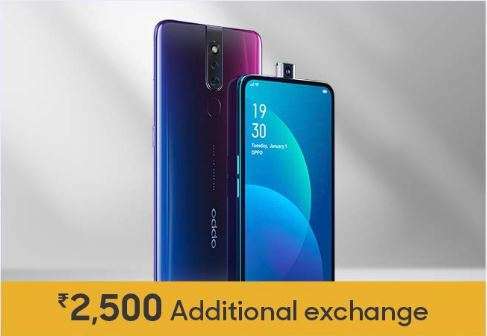 The OPPO F11 Pro is available for Rs 24,990 and gets no cost EMI with exchange offers. 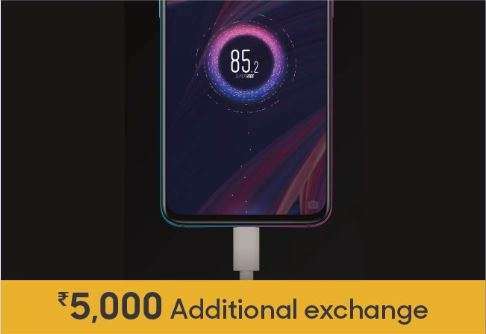 Other offers include flat Rs 500 amazon pay balance and Rs 2,500 additional exchange. The phone comes with a 6.5-inch FHD+ multi-touch capacitive touchscreen with 2340 x 1080 pixels resolution and is powered by 2.1GHz MediaTek Helio P70 octa-core processor with ARM Mali G72. It gets a dual rear camera setup of 48MP+5MP and a 16MP pop-up selfie camera. It houses a 4000mAH lithium-polymer battery and comes with VOOC charge adapter. 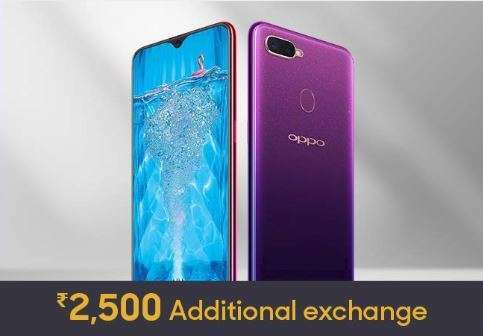 The OPPO F9 Pro is priced at Rs 17,990 and gets an exchange offer with no cost EMI. There is an additional exchange of Rs 2,500. The F9 Pro sports a 6.3-inch display with 2340x1080 pixels, protected by Corning Gorilla glass. Powering the phone is the 2GHz Mediatek Helio P60 octa-core processor and runs on ColorOS 5.2 operating system on top of Android v8.1 Oreo. It gets a dual 16MP+2 MP rear camera with human Face priority exposer, along with portrait mode and AI beauty, while on the front is a 25 MP camera. It houses a 3500 mAH battery with VOOC flash charge. The OPPO R17 is priced at Rs 28,990 and gets an exchange offer with no cost EMI. There is an additional exchange of Rs 3,000. The R17 sports a 6.4-inch full HD+ OLED capacitive touchscreen with 2340 x 1080 pixels resolution and is powered by the Qualcomm Snapdragon 670 octa-core processor, backed with Adreno 615 GPU. It gets a 16MP+5MP dual rear camera with 3D portrait lighting and other features like Emoji, AI backlight, Custom Beauty, Ultra night mode, along with a 25MP front-facing camera. The phone houses a 3500mAH battery and includes a VOOC charge adapter. 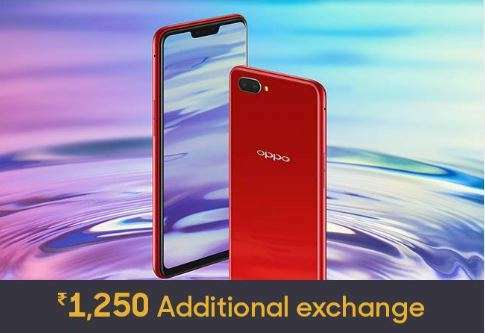 The OPPO R17 Pro is priced at Rs 39,990 and gets an exchange offer with no cost EMI. There is an additional exchange of Rs 5,000. The OPPO R17 Pro comes with a 6.4-inch multi-touch capacitive touchscreen with 2340 x 1080 pixels resolution and is powered by a 2.2GHz Snapdragon 710 octa-core processor. It gets a 12MP+20MP rear camera with TOF 3D that offers camera features like Smart Aperture, sensor HDR+RAW HDR, HDR preview, Ultra night mode, optical image stabilization, 7P lens and a 25MP front-facing camera. It houses a 3700mAH battery and runs on Color OS 5.2 on top of Android v8.1 Oreo. The OPPO A3s is priced at Rs 8,990 and gets an exchange offer with no cost EMI. There is an additional exchange offer of Rs 1,250. The OPPO A3s comes with a 6.2-inch HD+ capacitive touchscreen display with 1520x720 pixels and is powered by the 1.8GHz Qualcomm Snapdragon 450 octa-core processor. It gets a 13MP+2 MP Dual rear camera setup, along with an 8MP front camera. It houses a 4230 mAH battery and runs on Color OS on top of Android v8.1 Oreo. 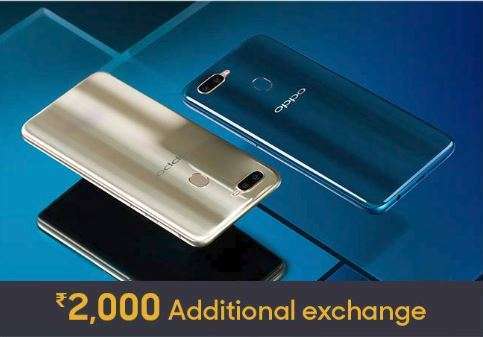 The OPPO A7 is priced at Rs 15,990 and gets an exchange offer with no cost EMI. There is an additional exchange offer of Rs 2,000. The OPPO A7 comes with a 6.2-inch multi-touch capacitive screen with 1520 x 720 pixels resolution and is powered by 1.8GHz Qualcomm Snapdragon 450 octa-core processor with Adreno 506 GPU. It gets a 16MP front camera with features like AI beauty, HDR, background blur, sticker, filter and a 13MP+2MP dual rear camera set up. It houses a 4230mAH battery and runs on ColorOS v5.2 operating system.